Last month I shared about the early days of Nazi Germany’s invasion of Norway in 1940 as told by Mrs. Florence Harriman, U.S. Minister (Ambassador) to Norway. You can read it here. Today I will continue the story based upon the book I Saw It Happen in Norway by C.J. Hambro, President of the Norwegian Parliament. The Germans attacked Norway on April 9, 1940 and took the country by surprise. 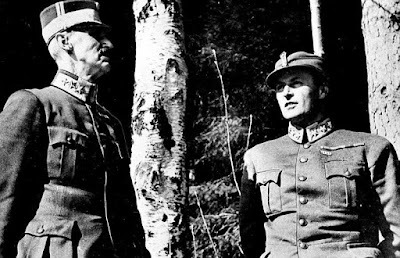 Norway had maintained a strict neutral status in World War II and was on excellent terms with both Germany and the Allies. 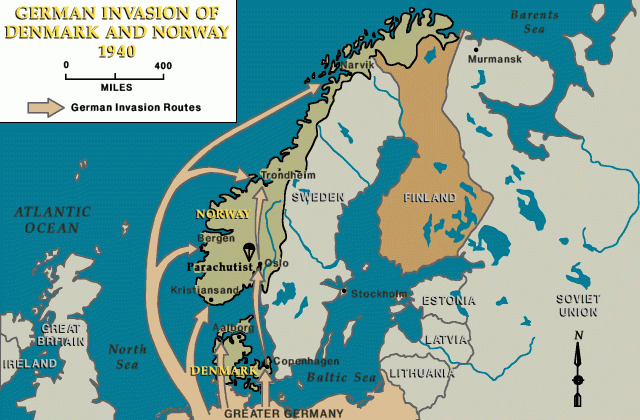 The German attack on Norway, planned months in advance, was executed with simultaneous invasions by ship and air at every strategically important point in the country. Also, soldiers had been secretly loaded on German commercial ships which were already in Norwegians ports. 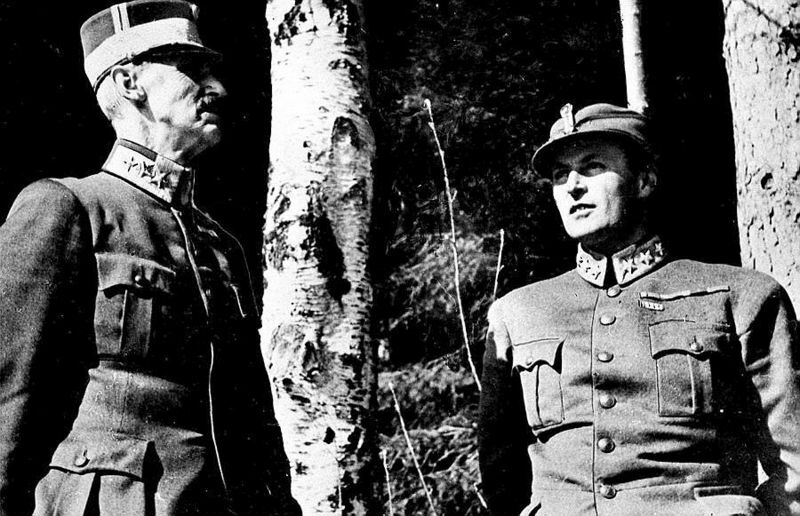 Unfortunately, the Norwegian army had not been mobilized, and the country was completely unprepared for war. The first inkling of trouble came when the air raid alarm in Oslo started at 1:00 AM and continued incessantly. At 2:00 AM, Mr. Hambro reached the War Office and the Prime Minister by telephone and then received updates every fifteen minutes. Reports came in from all over the country—the Germans were invading. Between 4:30 and 5:00 AM, the German Minister met with the Norwegian Minister of Affairs. He presented a list of demands which actually called for the complete surrender of Norway. The Government rejected the proposal and made plans to flee the capital. Mr. Hambro traveled by taxi to Hamar, one hundred miles north of Oslo, to prepare for the arrival of the Royal Family, the Government (Cabinet), the 150 members of the Storting (Parliament), and others supporting them. Most of these traveled on a special train which left Oslo at 7:23 AM that morning. The sinking of the German flag ship Blucher in the Oslo Fjord postponed the occupation of Oslo, the capital of Norway, by eight hours and prevented the Germans from ever capturing the Royal Family or the Government. Oslo Harbor. Courtesy of the Imperial War Museum. © IWM (HU 55638). That afternoon while the Storting was in session in Hamar, word arrived that the German motorized troops were advancing toward the city - one group was only ten miles away. A special train left for Elverum with most of the members aboard about ten minutes later. Norwegian soldiers barricaded the roads leading to Elverum and established a line of defense. The Storting met for the last time before the German occupation and unanimously gave the Government the full power to make all necessary decisions under war conditions. The king sent his daughter-in-law, the Crown-Princess, and her three children to Sweden to stay with her parents, Prince Carl and Princess Ingeborg. The King and Crown Prince traveled with them as far as Nybergsund, which was twenty miles west of the border with Sweden. The German Minister demanded a meeting with with the King, so he made the 45-mile trip back over frozen roads to Elverum the next day. Dr. Brauer, the German Minister, set forth the ultimatum which was tougher than the one he had presented the day before. The King stated he would abdicate rather than dissolve the Government and appoint a new one headed by Hitler’s man. The Government supported him and refused to accept the German demands. The Germans replied by bombing Elverum and nearly destroying it. 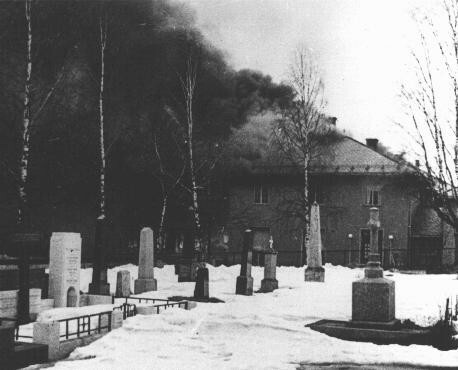 Nybergsund, which was smaller than a village, was also raided by bombers, but the deep snow reduced the impact of the explosions. The King, Crown Prince, and the Government passed through the Gudbrandsdalen Valley to the town of Molde on the west coast. They were constantly on the move, running from German bombers. German bombing. Courtesy of Wikipedia. British, French, and Polish troops landed at three points along the west coast to assist the Norwegians in their fight. 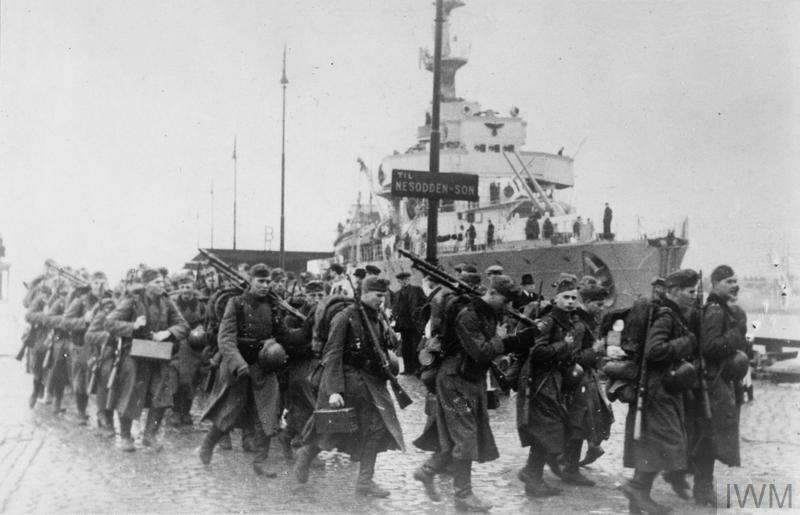 The first British troops reached Norway on April 19th, but by April 28th, they were forced to evacuate southern Norway. The fight moved to the northern counties. The King and Government sailed above the Arctic Circle to Tromso, which became the provisional capital. The plan was to drive the Germans farther and farther south, and the implementation started to succeed when the Germans slowly lost ground in the north. Nevertheless, the King, Crown Prince, and Government only stayed in Tromso for five weeks. After the Germans invaded the Low Countries and France, the Allies were forced to evacuate Norway - the troops were needed to defend their homelands. The British offered safe passage to the Royals and the Norwegian Government, and on June 7th, they departed on the British cruiser Devonshire for England. In August, the Crown Princess, her three children, along with Mrs. Harriman, the U.S. Minister to Norway, and hundreds of others journeyed up the east coast of Sweden to the far north of Finland. At the port of Petsamo on the the Arctic coast, they boarded the American Legion, a troop ship, sent by Roosevelt to take them to America. 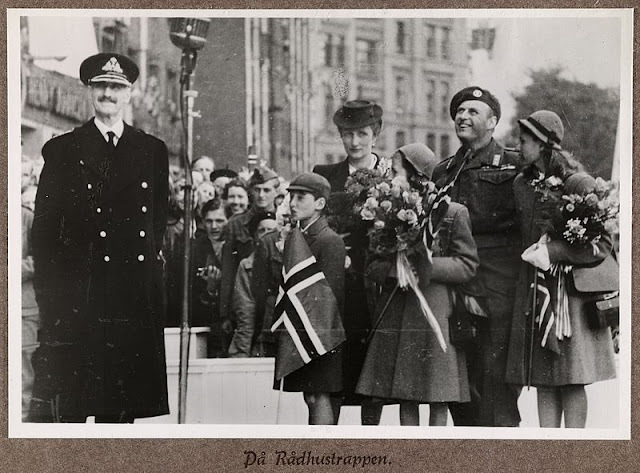 On June 7, 1940, five years to the day that the King and Crown Prince had fled Norway, the King and Crown Princess and her children returned to Norway by ship to cheering crowds welcoming the Royal Family home. The Crown Prince had returned a few weeks before to prepare the way. Mission to the North by Frances Jaffray Harriman. J. B. Lippincott Company, 1941. I Saw It Happen in Norway by C. J. Hambro. D. Appleton-Century Co., 1940. Thank you for dropping by, Connie! Glad you enjoyed the post. What a great post! I don't remember ever hearing about this in history. Of course, a lot of what happened just before and into WWII was not in the history books I studied in the 40's and early 50's. This was even more interesting because I've been reading about Norwegian Christmas myths and legends which will the subject of my post in 10 days. Norway is a fascinating country. Thanks for sharing this bit of history of that nation. 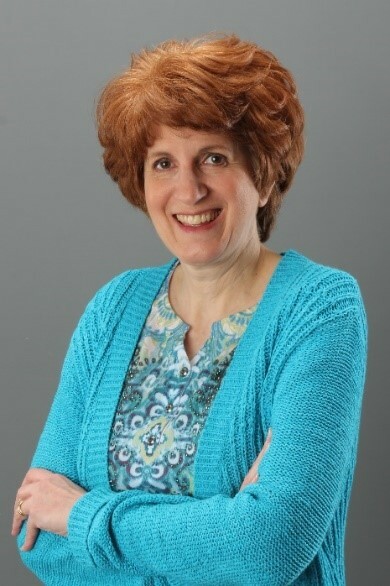 Hi, Martha. Thank you so much for your kind words. I'm so glad you'll be writing about Norway this month too! I'm fascinated by the country and would love to visit one day. I recently began writing my second novel, and it's set in Norway and France in 1940.